Cindy Battino a Life coach, energy worker, separation/divorce specialist, speaker, author, life changer; these are just a few words to describe Cindy. 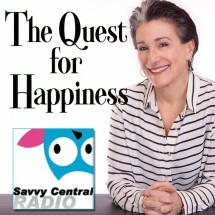 Cindy discusses with Christina Nitschmann, her newest program “The Quest For Happiness” and embarking on your own quest. The radio program will broadcast on May 21, 2016 at 1 pm edt around the country.